Hot and cool exterior colors are a part of Chevy Camaro history. Now the 2010 model is getting its own. Chevrolet today debuts the Camaro Synergy Special Edition with pricing starting at $26,790. Synergy will be produced in limited quantities from February to May. The 2010 Camaro Synergy Special Edition is based on a Camaro 1LT, with a 3.6L direct injection V-6, paired with either a six-speed manual or automatic transmission. The powertrain has become a benchmark for the segment by offering a combination of performance and efficiency: The V-6 delivers 304 horsepower and 273 lb.-ft. of torque, and returns up to 29 mpg on the highway. The Synergy Green exterior color was first previewed at the 2009 Specialty Equipment Manufacturers (SEMA) show. 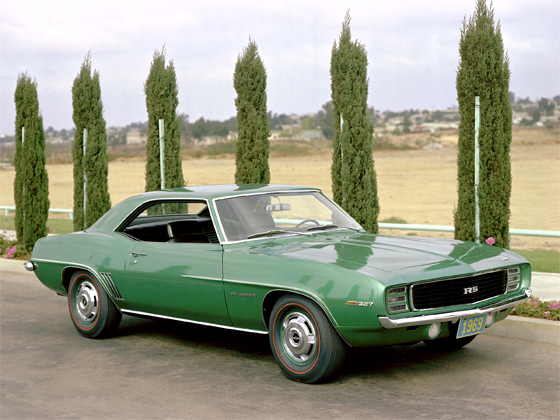 In production form, the Synergy Green is accented by Cyber Grey Rally Stripes running the length of the Camaro hood and rear deck. Other exterior features include a standard rear spoiler, and standard 19 inch, Sterling Silver painted wheels wrapped with P245/50R19 tires. The color scheme is mirrored on the interior, with Synergy Green instrument panel and door inserts. Synergy Green stitching also accents the Jet Black cloth seats, steering wheel, shift knob and center console. 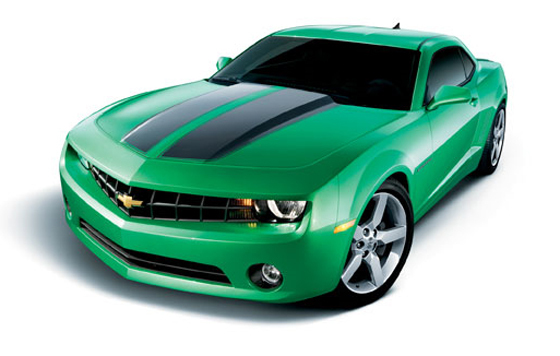 “Just as those colors helped make the first generation Camaro an icon, modern colors like Inferno Orange, Rallye Yellow Transformers Edition and Synergy Green will define the 2010 Camaro,” Settlemire said. The Special Edition also includes the Camaro Convenience and Connectivity Package, with Bluetooth phone connectivity, USB port for MP3 players, and remote vehicle start for models equipped with an automatic transmission.